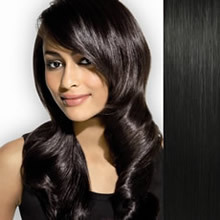 Clip in - the most popular type of hair extensions. 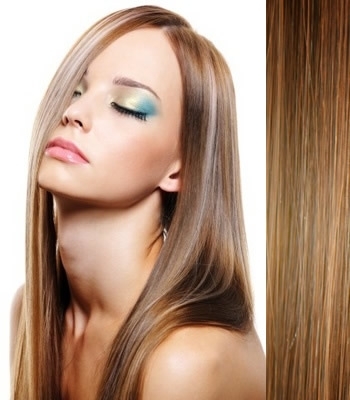 Clip in remy hair extensions can be fitted at home in a few minutes without any help of a hair stylist. You can wear clip in hair set as often as you like. Clip in method is very easy to apply to your own hair. All clips are already attached and silicone coated for a strong hold. Holding very well also during sport activities or dancing. You do not have to worry about possible slipping. Total number of clips: 18 attached clips + 2pcs extra for FREE for a long durability of your new hair extension. Find the color that matches your hair by browsing through the various products on offer at our site.